On June 1st, HiTel FCU officially welcomed Sheraton Hawaii FCU to our credit union ‘ohana! 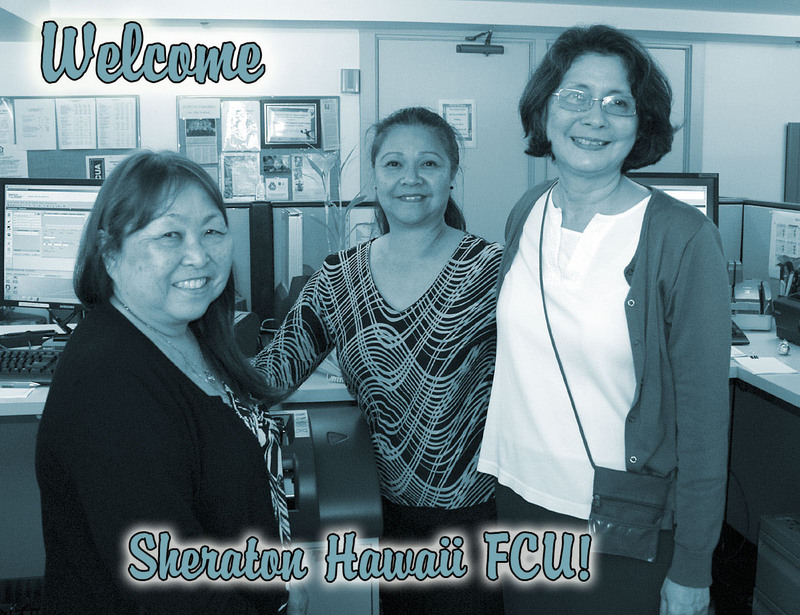 Sheraton Hawaii FCU was formed in 1959 and by merging with us, they will be able to expand services to members. In addition, our new branch will continue their operations at the Sheraton Waikiki Hotel & Resort – and is located on the third floor in the forward annex building. Office hours are Monday through Friday, 8:00am to 4:00pm. This entry was posted in CU News, Uncategorized and tagged Bishop Street, community, credit union, Downtown, ewa beach, finance, Fort Street, Halekulani, hawaii, hawaiian tel fcu, hitelfcu, honolulu, Kaimuki, Kalakaua Ave, Kalihi, Kapalama, kapolei, kunia, Manor Wing, mccully, mililani, ohana, Schofield, Sheraton, turtle tank, Wahiawa, Waikiki, waipahu, welcome, Wheeler AAF by Hawaiian Financial Federal Credit Union. Bookmark the permalink.